In this guide I will be writing about the different kinds of storage options available for us PC users, their uses, their pros and cons and perhaps help you decide, that out of the wide array of storage options available which one is the right one for you. There are a lot of different types of hard drives but in this guide I will only be focusing on the consumer orientated ones. Primarily their are 3 kinds available. The standard Hard Disk Drive more commonly referred to as HDD. These are the most commonly used hard drives at this time throughout the world. They are very cost efficient due to which large capacity models can be bought in a fairly economical price. These are excellent for mass storage purposes. However these lack when it comes to speed particularly random read and writes. What that basically means is that they are not very effective when it comes to transferring a large number of small files quickly. Also due to their mechanical nature these are not the most reliable as these mechanical parts degrade overtime which results in decreased performance and eventually failure. The next type of storage medium are Solid State Drives (SSD). These drives do not include any moving parts therefore they will not wear out like traditional hard drives. Due to the absence of moving parts these drives are also more resistant to physical damage and drops. 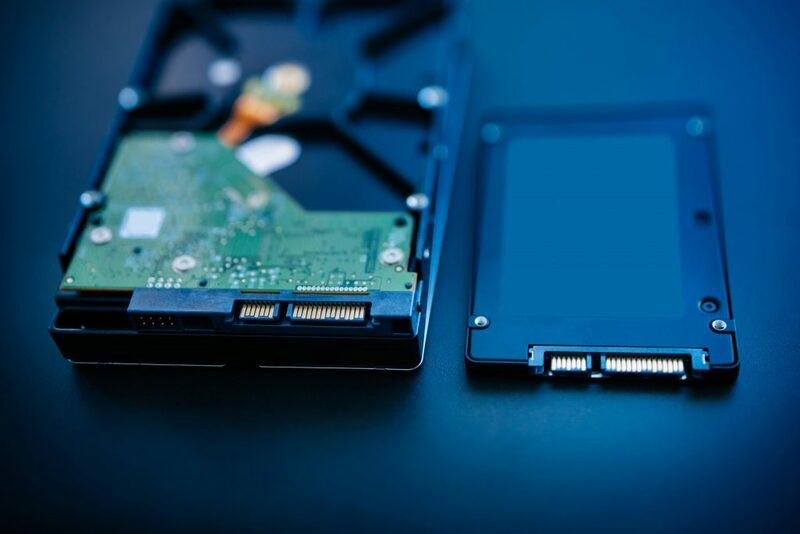 However SSDs will eventually stop working too as the number of times data can be written on them is limited however compared to a HDD they last much longer under typical usage. SSDs also have the ability to retain data without a constant power supply making them less prone to data loss due to power outages. Now what makes the SSD really special is speed. Compared to a HDD they are much faster especially when it comes to random reads and writes. This is due to the fact that data within an SSD can be accessed directly so compared to a HDD the access time is very low (0.1ms vs 4ms when comparing the average SSD to an average HDD). This results in much faster boot up times and loading times and generally just a much more fluid computing experience. However SSDs are much more expensive as compared to an HDD so they are not the wisest choice for storing massive files. Although SSDs are much faster then HDD when it comes to loading times and general computing, a typical SSD won’t be much faster then an HDD when it comes to copy paste speed unless you plan on buying higher end models. There is another type of storage medium which happens to be a mix of HDDs and SSDs known as an SSHD or Solid State Hybrid Drive. As the name suggests this Drive consists of 2 segments. A High Capacity HDD and a High Speed SSD. A standard 1TB drive would typically consist of 8GB of SSD storage. It may not seem like a lot but due to smart resource allocation it proves to provide much better performance than a typical HDD. The basic principle behind an SSHD is that it dynamically adjust memory allocation. Most of the faster memory would be allocated to the operating system more frequently used programs. 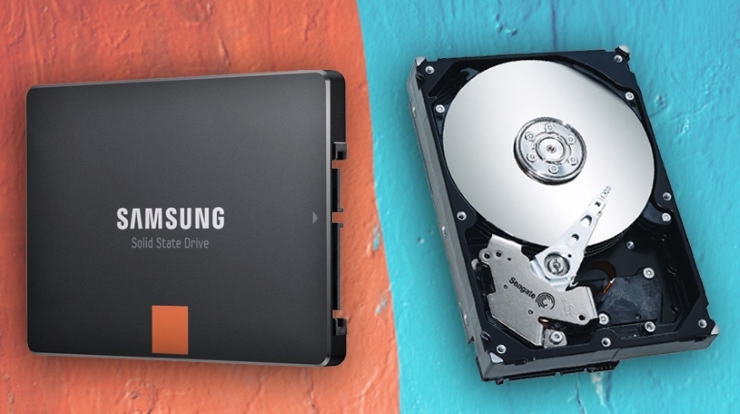 These are more of a middle ground between HDDs and SSDs in terms of performance but they lean closer to HDD pricing so they are cost effective. Below i have compiled the Pros and Cons of both HDDs and SSDs. Overall the SSD is a much more superior option as compared to an HDD but it comes at a much heftier price which is the main reason why HDDs are still so popular. A good way to make use of the best of both worlds is to have a large HDD for larger files that are less often accessed and programs that do not require the extra performance of an SSD alongside a smaller capacity SSD for the Operating System and frequently used programs. A less pricy alternative for this is having an SSHD which does the same job and is even more convenient however despite being faster then an HDD it will not be as fast as having a standalone SSD. Personally i would recommend having 2 Drives instead of an SSHD unless you prefer the convenience of an all in one package. I’m going to conclude by mentioning some drives we think are great options for storage, one from each catagory.